The title refers to the past life and the memory of what remains, I intended to evoke a sense of mystery by leaving marks through the building. wood lattice, paint and vinyl adhesive tape. 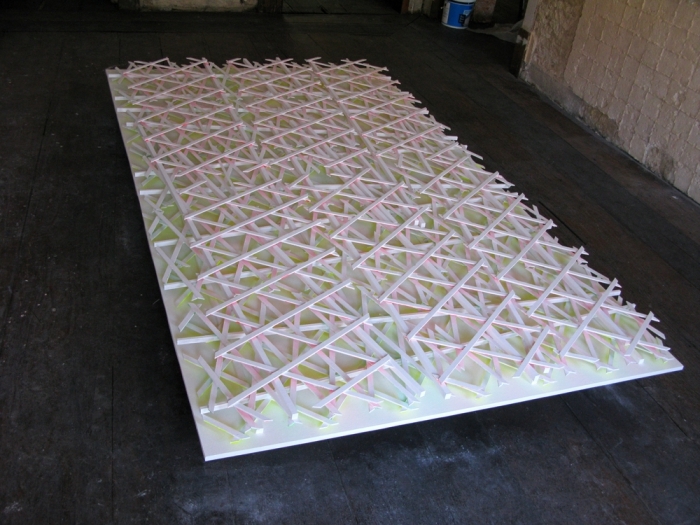 A large three-dimensional structure place across an antique floor letting natural light Filter through the several layers of lattices and generate a poetic “carpet”, inhabited with cool reflected colors. An ephemeral installation work on the fireplace with haunted reminders in a frame of emptiness. 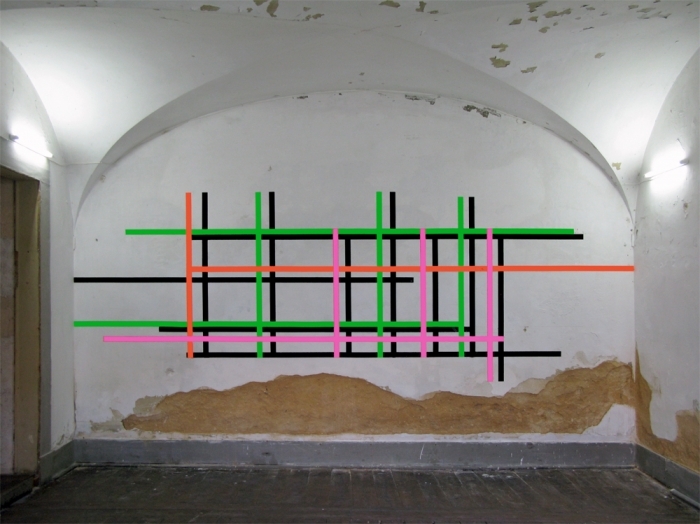 In the basement a wall-painting, a flat image that emerge from the wall, composed of cross lines in adhesive tape, the direct inspiration for this work is about scale and illusion.